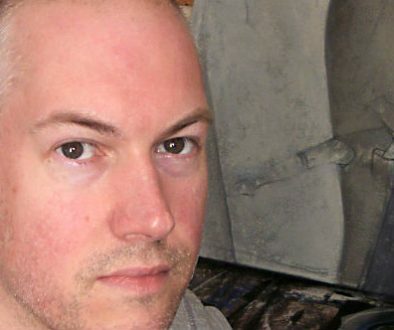 Artist Paine Proffitt, who was responsible for the front cover artwork during Vale’s amazing 2012-13 promotion season will be signing programme covers during a special event. 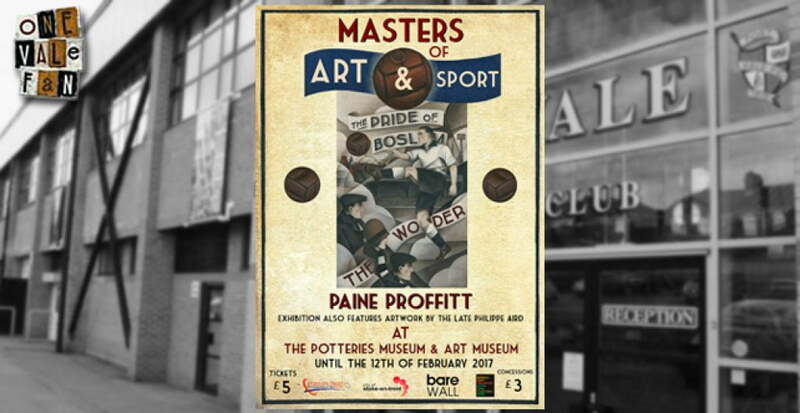 The Potteries Museum will be marking the end of the Masters of Art and Sport exhibition with a football themed day for children and families. Meet the artist, get your programme signed, see the football memorabilia and be inspired by the exhibition “ Masters of Art & Sport. What is Masters of Art and Sport? 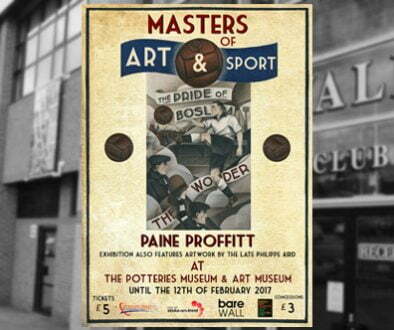 Masters of Art and Sport is a part of The Potteries Museum & Art Gallery Interactive Arts Programme which celebrates Stoke-on-Trent, UK’s European City of Sport 2016. Masters of Art and Sport unites sporting excellence with cultural heritage lead by Staffordshire’s award winning artist Paine Proffitt as well as ‘Masters of Art and Sport’ Ambassadors: Kian Emadi and Emily Nelson – GB Cycling, Danielle Wyatt – England Country Cricket, Ian Marsden – GB Paracanoe. 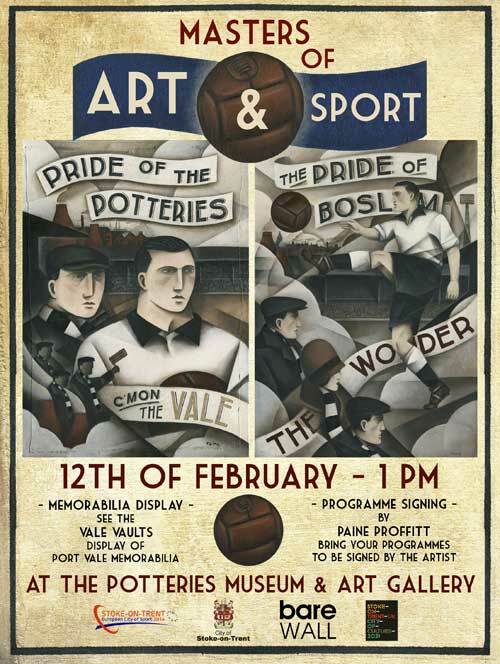 OVF is proudly supporting the innovative Masters of Art and Sport Exhibition at the Potteries Museum. It runs until the 12th February 2017 and includes work from Philippe Aird, Darren Campbell and award-winning Paine Proffitt.